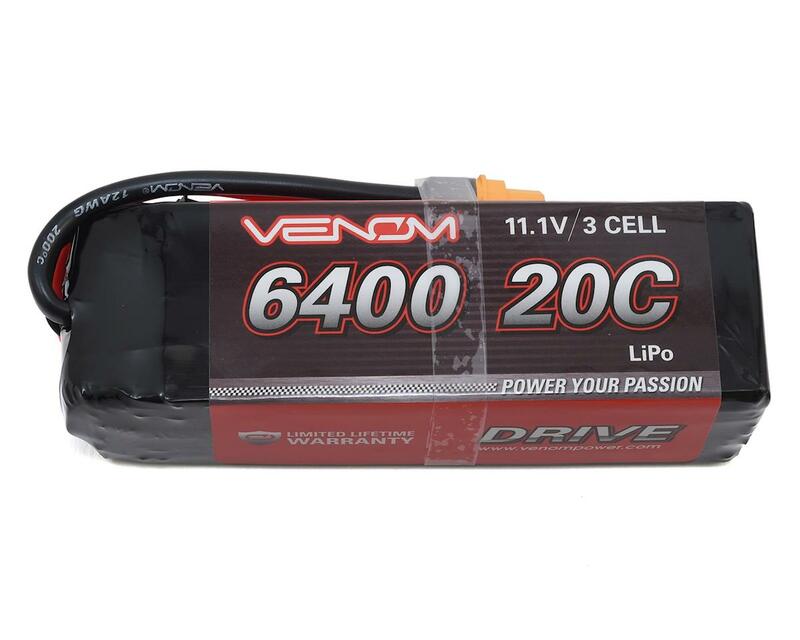 The Venom 20C 3S 6400mAh 11.1V LiPo Battery pack has a high-capacity, high-discharge rate that gives you the power and run-time you expect from all Venom batteries. Whether you have a remote-controlled heli, jet, airplane, quad, buggy or truck, this is a battery pack you can depend on. 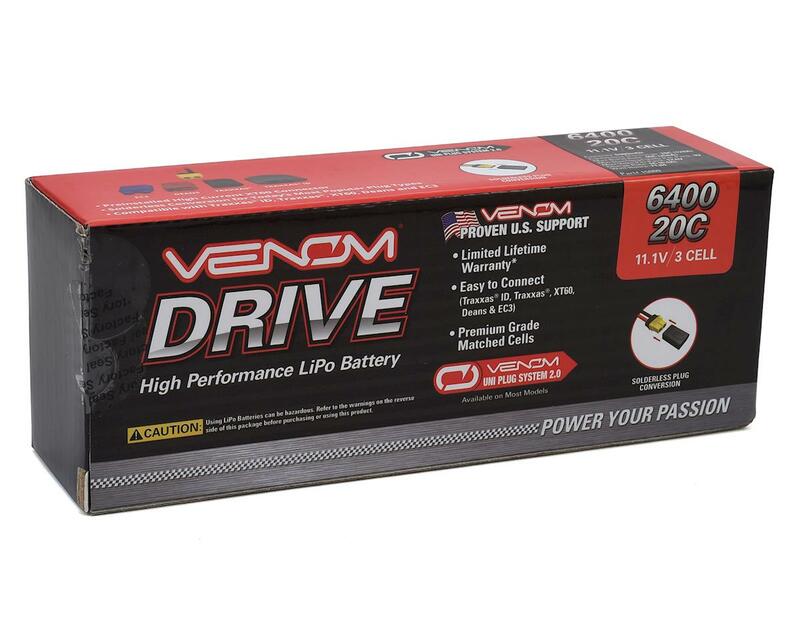 Venom DRIVE batteries now also include the Venom Universal 2.0 Plug System for the ultimate in connectivity. 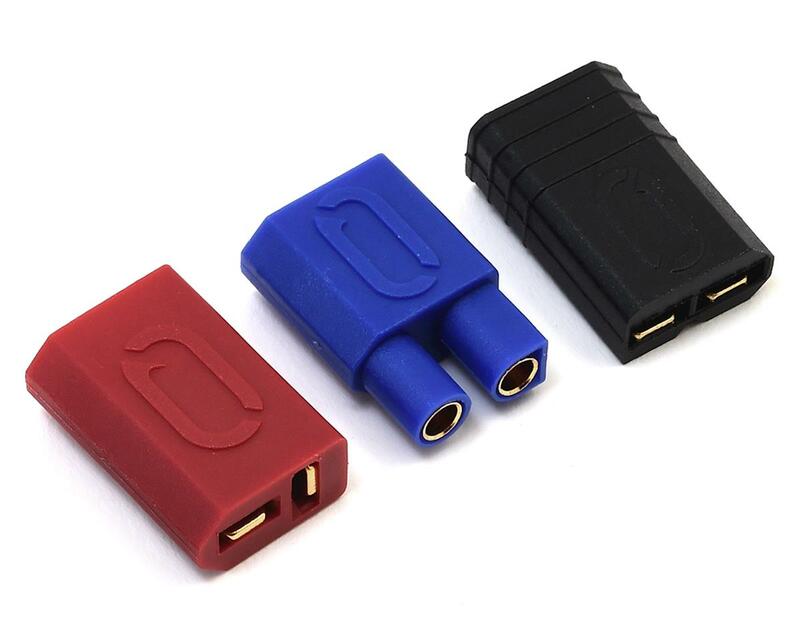 Utilizing a high current Amass XT60 base plug with the correct included Venom UNI 2.0 adapter for Traxxas ID, Traxxas legacy plug, Deans/T-Style or EC3 adapter allows for solder-free plug conversion and plug and play use with todays most popular RC vehicles.